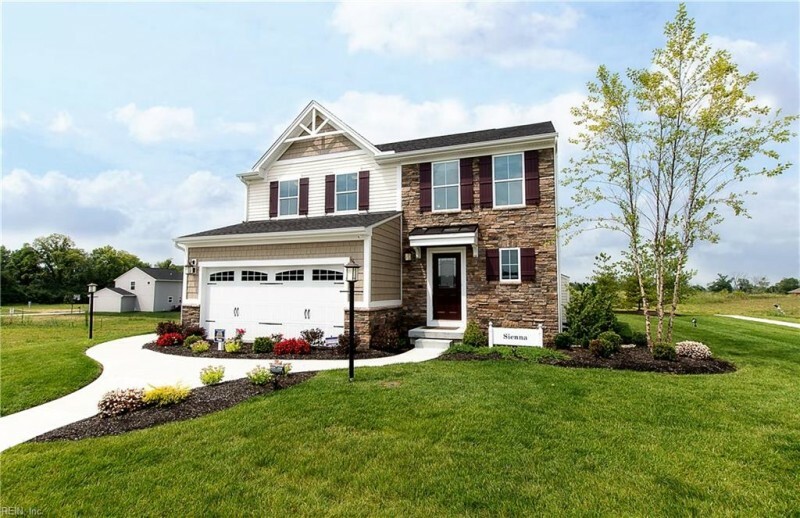 THE SIENNA IS AN EFFICIENT, OPEN FLOORPLAN FEATURING 3 BEDROOMS, 2.5 BATHROOMS, MUD ROOM, UPSTAIRS LAUNDRY ROOM, FAMILY ROOM OPENS TO KITCHEN AND DINING AREA WITH MORNING ROOM, GRANITE KITCHEN COUNTERTOPS, STAINLESS STEEL APPLIANCES, PANTRY, 2 CAR GARAGE. CLOSING COST ASSISTANCE AVAILABLE WHEN USING OUR PREFERRED LENDER. HOME IS TO BE BUILT. BUILTSMART CERTIFIED! NEWPORT NEWS LOWEST PRICED NEW HOME COMMUNITY LOCATED IN MENCHVILLE HIGH SCHOOL DISTRICT, NEAR FT. EUSTIS, NN SHIPYARD, TECH CENTER & MORE! LARGE BACKYARDS & LUXURY FEATURES ARE INCLUDED – SCHEDULE YOUR VISIT TODAY! Ready to visit MM SNA Windemere? Request a free property tour! Send me more information about the listing at MM SNA Windemere, Newport News, VA 23602, MLS# 10239896. This 3 bedroom, 3 bathroom home located at MM SNA Windemere, Newport News, VA 23602 has approximately 1,800 square feet. It is currently listed for $299,990 and has a price per sqft of $16,666. This home is currently Off Market under the MLS#: 10239896. This listing is provided by Mid-Atlantic Residential. MM SNA Windemere Road, Newport News was built in 2019. It has Garage Att 2 Car, Driveway Spc parking.The kitchen includes Dishwasher, Disposal, Dryer Hookup, Energy Star Appliance(s), Microwave, Range, Washer Hookup. MM SNA Windemere is part of the All Others Area 109 neighborhood located in 23602.